Hi, I’m Ania! I live in the Denver metro area with my husband, crazy toddler, dog and backyard chickens! I’m a stay at home mom, a certified Primal Health Coach and blogger at Live Clean Nourish. About 5 years ago, after not taking care of my body for countless years, I suddenly found myself sick. I had many vague symptoms, the kinds the doctors don’t take all that seriously but are so common in the general population. Fatigue, brain fog, joint pain, nerve issues, etc. Although I knew this wasn’t how I was supposed to feel, the mainstream medical community didn’t help me other than offer me expensive prescriptions (and tell me I need to take them for life!). I knew there was a better way and that’s when I discovered the paleo diet. It instantly resonated with me as I’ve always taken a natural perspective to things… so of course I should eat and live in a more natural way! Living the paleo lifestyle resolved the vast majority of my health issues, a story that is not uncommon in the paleo community. I’m a strong believer that diet and lifestyle factors are the drivers for much of our health problems, which puts the individual in the driver’s seat. We shouldn’t sit idly by while being sick becomes the new normal. We have the power and need to be advocates for our own health! It wasn’t until the discussion of me going back to the 9 to 5 grind that I finally took the entrepreneurial jump and made wellness not only a passion, but a business. This is what I was made for. I’m passionate about teaching and inspiring others to establish healthy lifestyles. I’m inspired everyday by people who are fighting the good fight and trying to challenge conventional dogma about what is healthy. There is so much industry influence in our health advice, most of which is not actually backed by science. 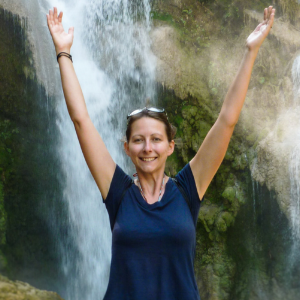 I'm an outdoor lover and an avid world traveler, having hit my 50th country last year! Having a child has gotten in the way a bit, but I’m excited for when he’s older and getting out into the world is a little easier! Staying healthy is always a struggle while traveling but I strongly believe that being happy and following your passions is integral to optimal health. I also enjoy walking, playing volleyball and anything health related… farmer's markets, watching documentaries, participating in discussions on facebook, etc. What are 5 tips you would give someone trying to optimize their health and wellness? Avoid processed foods like the plague. We don’t need to be fueled by chemical sludge, we need to be fueled by REAL FOOD. You’ve been gifted one body and one life to live, which means it’s time to give yourself a little more self-loving. There are many ways to love your body, but fueling your body with nutritious food is the highest form of self-respect. It’s more than food, so much more. Pay attention to toxins in your life, make sure to move, reduce stress, etc. Pay attention to your circadian rhythm. Our bodies regenerate every night and by exposing ourselves to blue light in the evenings, we disrupt our natural hormone cycles. Get some cheap amber tinted goggles on amazon and take advantage of apps like f.lux that dim your computer in the evening. It’s not about losing weight, it’s about GAINING health. 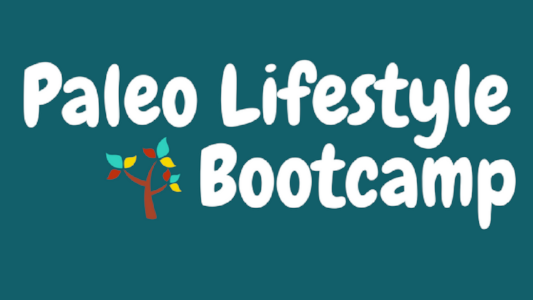 I recently released my signature course, Paleo Lifestyle Bootcamp. I’m offering a FREE trial to help motivate and inspire others to get started on their journey to better health. I hope you've enjoyed this interview with Ania. She's doing great things! I would invite you to visit her website and check out all of her truly amazing work and beautiful pictures. And, of course, the FREE TRIAL for her Bootcamp is an incredible deal! You'll learn a lot!